Graham Cotter was born in St. Petersburg, FL and grew up visiting Hilton Head Island, SC since the late 80’s. 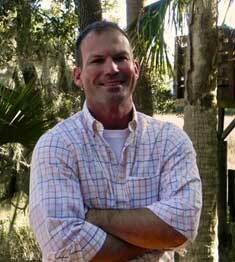 Enjoying a life on the water, experiencing everything from the beautiful beaches and fishing the low country salt marsh, Graham eventually began a full time career with boats on Key West, FL. 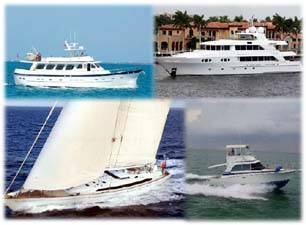 After a few years working the deck and quickly becoming skipper of various sailing catamarans, Graham left the tourist industry to pursue private yachting and sport fishing along the East Coast, Bahamas, and Virgin Islands. His resume offered opportunities in commercial applications including ferry vessels and towing and salvage. of larger vessel transactions in the capacity of consultant where owners needed appropriate vessels and yachts to accommodate their goals. This inspired Graham to enter into the yacht brokerage industry. After making the decision to leave South Florida behind and move to the Low Country and Hilton Head Island, he was given the opportunity to make this vision a reality. Graham enjoys the southern hospitality of the region, the beautiful scenery, and life on the water. Graham Cotter can be reached at graham@curtisstokes.net or 305-304-5106.